As a filmmaker Jason Reitman hasn’t had the most consistent streak. For every lauded production like Up in the Air and the Oscar-winning Juno, there are lesser features such as Labor Day and the ensemble Men, Women & Children. Thankfully his latest effort, Tully, is firmly placed amongst the higher quality titles in his catalogue. Reuniting with Juno scribe Diablo Cody, Tully benefits from her razor sharp wit as it manages to place a humorous filter on the trials and tribulations of motherhood, and given that our lead character Marlo (the fantastic Charlize Theron) is onto baby number three, the film shatters the myth that being a parent gets easier with each subsequent child. The humour comes from a place of realism though, and never makes a sitcom mockery out of Marlo and her struggles with raising a newborn, a precocious daughter, and a son with behavioural disabilities; to say ‘Tully’ is uncomfortable at times would be a vast understatement. Understanding her discomfort, and sensing little assistance from her husband (Ron Livingston), Marlo’s brother imparts the titular Tully (Mackenzie Davis, simply luminous) onto her, a night nanny who cares for Marlo’s newest during her most precious hours. At first Tully appears a little too perfect and stereotypically pixie dream girl that you’d be forgiven for writing the film off. 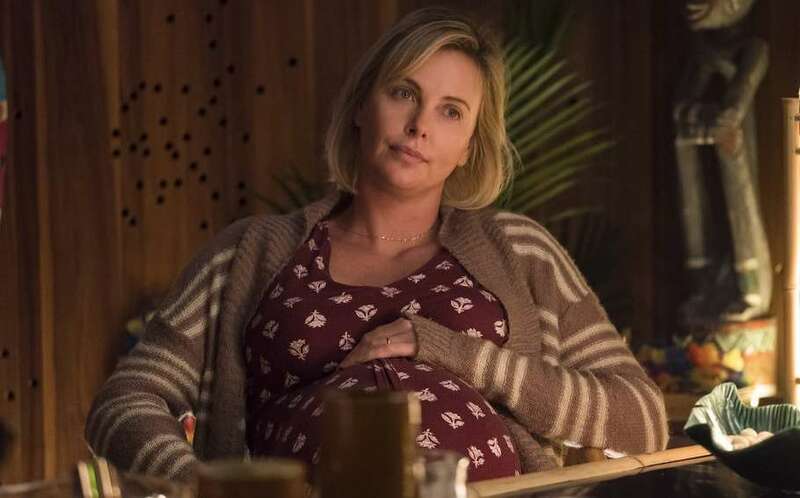 However over time she slowly reveals her layers to form a fully realised, near-damaged character, and it’s the blossoming relationship between Tully and Marlo that drives the film home. Cody and Reitman successfully straddle the lines of comedy and drama throughout, constantly finding a relatable ground when the film threatens to overemphasise any of its given situations. A late night rendezvous between Marlo, her husband, and Tully are a prime example, meanwhile Theron remains its emotional centre, delivering a biting, sympathetic performance that will break your heart and split your side.